Your message has been sent to Ridhi Chinnibathini . Like authorSTREAM? Give us a +1! 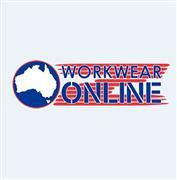 OZ Workwear Online was created to help offer High Quality Customized Workwear Online, at affordable wholesale pricing. Our website allows customers to easily order their branded workwear using Retail Quality – Embroidery, Digital and Screen Printing. Offering a large range of the latest clothing styles to choose from, OZ Workwear Online is your #1 destination for Custom Branded Workwear Clothing.